Mary Kay, Thirty-One, Pampered Chef; they’re household names that many people have become familiar with over the years. These companies have gained popularity in their products by bringing their store to a customer’s home, in a party type of atmosphere. Well, now the horse world is seeing a variation of this, especially on the west coast. 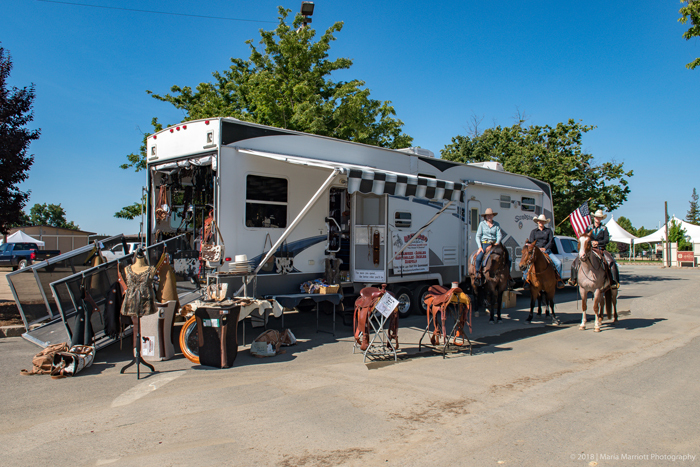 Buckaroo Leather Products, with owner John Brand (aka Buckaroojohn), is the newest company to join in on the fun, with what Buckaroojohn calls his “Tackaroo Parties”. 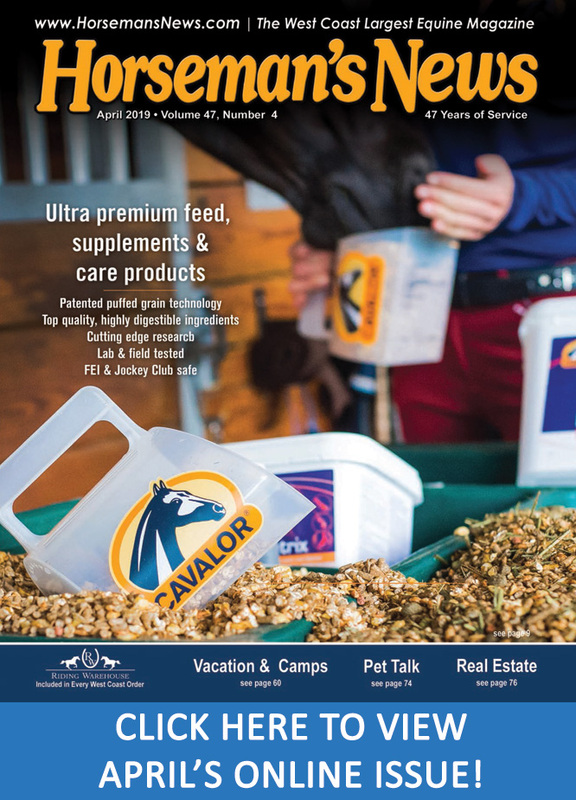 A novel idea, Buckaroojohn started offering these get-togethers as a way to fill a need in the horse community. “We see such a need for tack fitting- new and the tack you already own”, he says, “At our Tackaroo Parties, we provide tack fitting free.” Along with the ability to help properly fit horse and rider with the right equipment, Buckaroojohn brings his trailer loaded down with complete sets of tack, from bridles and hackamores, to saddles and breast collars, for people to view and purchase if they wish. 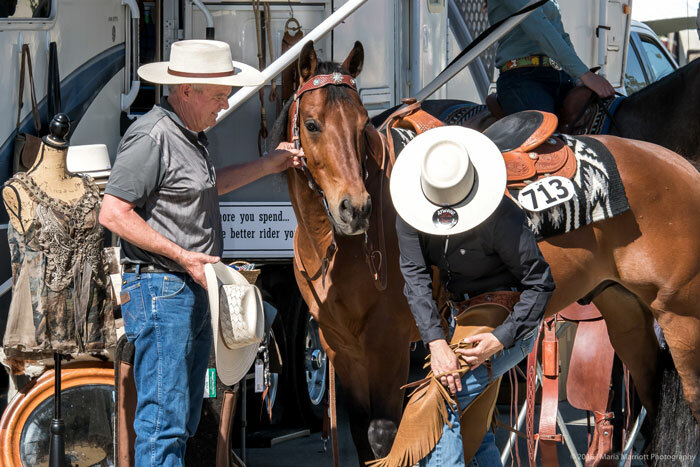 A rare experience for horse people, Buckaroojohn says it’s a simple process to book a party. Covering most western states, he says a simple call or email will get a foot in the door to book an event. Once the date and time are set, he will arrive prior to the event to get set up, and then provide his services for an agreed upon amount of time. “We do these all times of the day- mornings, afternoons, or evenings. 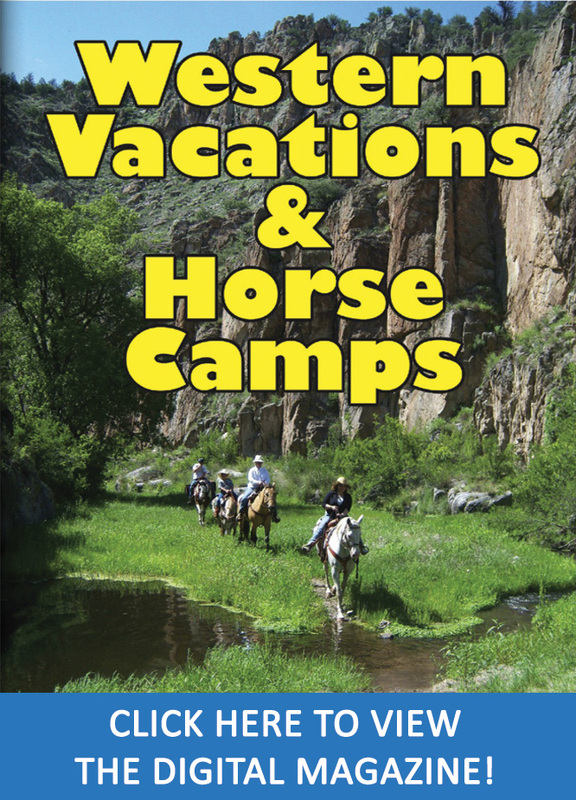 The event can be at a training facility, fairgrounds, show, boarding barn, or private residence or ranch”, Buckaroojohn adds. He also offers the option of a fundraising event, where he will donate a portion of the sales to a specified cause. Buckaroo Leather was established in 1980. Buckaroojohn’s father, Bob Brand, was a representative for Bona Allen and Ozark Leather when the companies were based out of Texas. 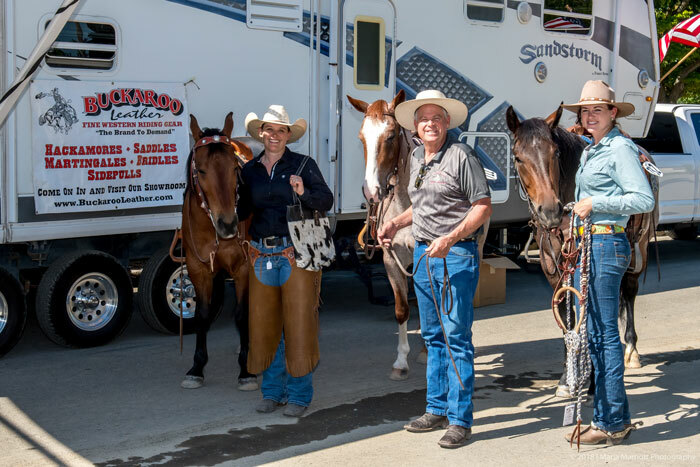 Buckaroojohn’s dad would often attend trade shows where, as a young boy, he would tag along, and as a young man at age 19, realized the importance of thinking about making a living. From there, a new business venture called Buckaroo Leather was established. Today it is one of the oldest, if not the oldest, family owned and operated leather tack manufacturers still in existence. Aside from their parties, what makes the company even more unique is the variety of gear available. Buckaroo Leather Products offers it all, from simple yet sturdy using gear, to flashy show pieces. 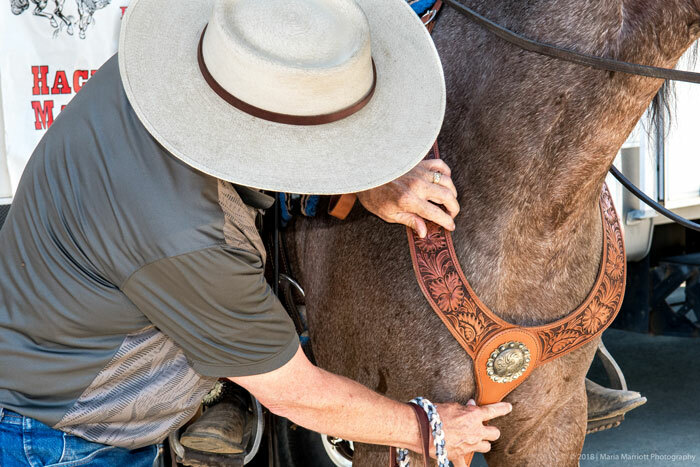 “We make beautiful Vaquero tack and everyday working tack and saddles”, Buckaroojohn says. And when asked what he feels is their best-seller, he admits that it’s tough to single out just one item. 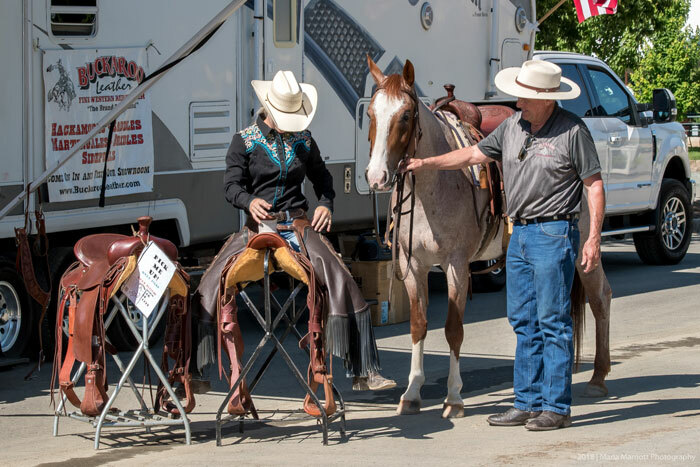 In narrowing it down, he says that their lightweight saddle is a popular item because of the weight and fit, while their reins are top sellers because of their great feel and weight, along with a broad selection to choose from. The company’s tack has been made on the same machines by their leather craftsman for generations. 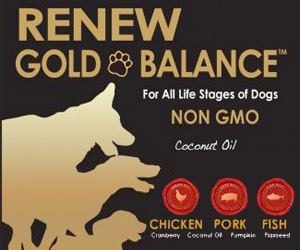 Even so, they’ve managed to keep up with the changing times with a heavy social media presence and an ever-dependable product. One of the company’s main goals is top-notch customer service, something many cannot receive through online shopping. “Our hope is to build this into a business people know they can get help with all their tack shopping and fitting needs”, Buckaroojohn says, “…they are buying quality they can see, feel and fit made the old school way.” Sure, it’s simple to go online and shop for the cheapest tack around, but Buckaroo Leather Products understands the need for diversity. 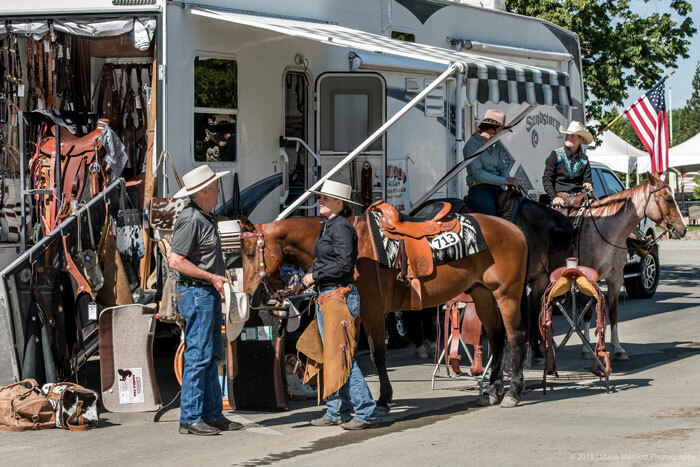 From minis to Mammoth Mules, they have what their customers are looking for: the best tack right at your fingertips! For more information about Buckaroo Leather Products visit www.buckarooleather.com.